My sister in law has very dry cracked hands in the winter and summer. When I see a hand cream I immediately think of her. She works with babies so she washes her hands so many times a day that it leaves her hands in bad condition. 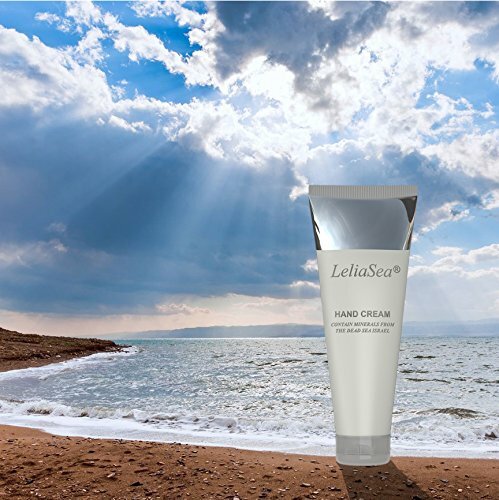 I let her try LeliaSea Hand cream and at first she did not see a difference. After almost 3 weeks of using the cream daily she started to see an improvement with her cracked fingers. They started to heal and she had less dry skin and her hands started not to crack. It has helped her tremendously. She said her skin feels much better especially on her fingers. I received LeliaSea Hand cream complimentary in exchange for my unbiased review and opinion. All opinions and words are my own.